Couple of weeks back I was in Japan for a week. Though it was mostly the triangulation (Airport, Hotel and Office), I did manage to take a few photos in and around in my Hotel in Hakozaki. 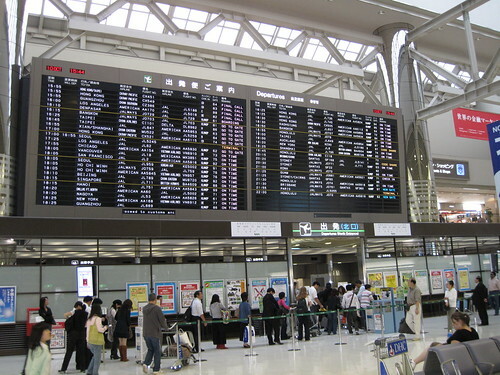 Tokyo's Narita Airport is one of the busiest in the world and yet very orderly. I was able to get through all formalities under 30 minutes, that includes finger printing. Yes, all foreigners were finger printed and I am sure there was a camera somewhere taking photos as well. But the overall system was very efficient and the wait wasn't for more than 5 minutes at the immigration counter. 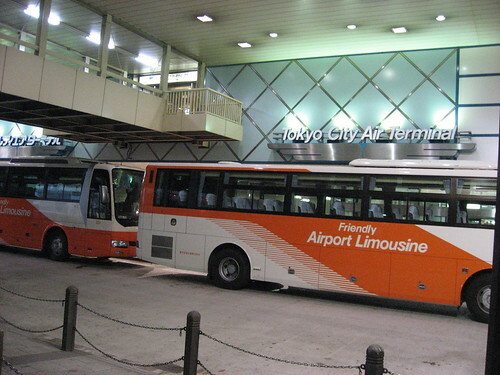 Took these friendly airport limousine buses to my Hotel which was about 75 kms away. They are very comfortable and ply every 15 minutes. It took about 90 minutes to get the Hotel which was near Tokyo City Air Terminal (TCAT), but the ride was comfortable and I was able to take a quick nap before I reached the Hotel. Stayed in Royal Park, right next to Tokyo City Air Terminal (TCAT). 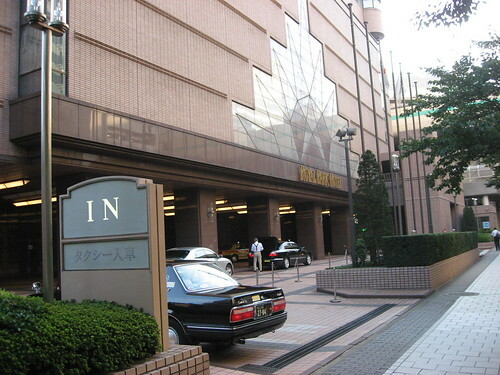 Tokyo in general is an expensive city and the Hotel was no exception. This is perhaps one of the very few Hotels that charged me 'extra' to use the fitness center. I remember Las Vegas Hotels doing the same. But it, in a way proved to be good for me. 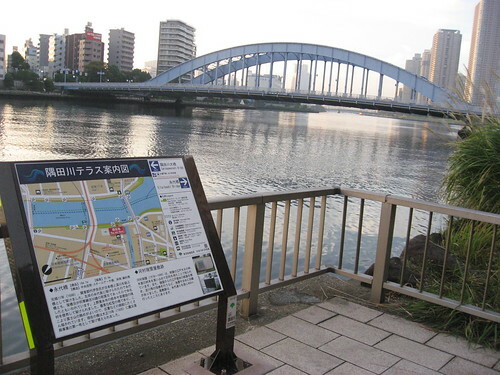 I explored the surroundings and found a solid running track by the Sumida river. 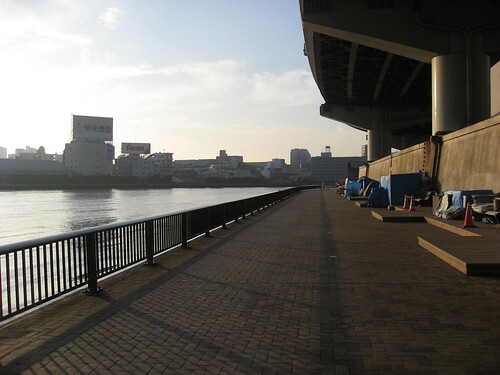 Sumida river was just couple of blocks from my Hotel and offered good running track for miles on end. 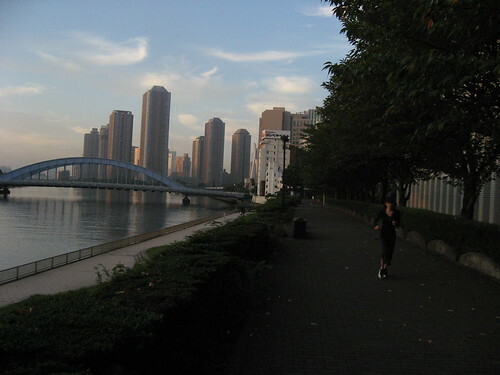 Though I could not find the 15km running track that the Hotel guys told me about, this running track by the Sumida river was equally good. I did 7-8 km runs for 4 days by the river and enjoyed every bit of it. The track was even and the weather was friendly. This proved to be a way better 'free' option than the 'paid' Hotel fitness center. Tokyo also has its share of homeless people. I saw a few of them by the river. I am sure this is a useful map for folks who can read Japanese. 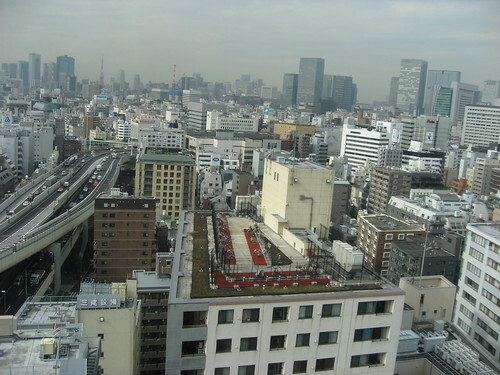 Tokyo is one of the most populous cities in the world and space is at a premium. Most of the roads are double decked and parking charges are one of the highest in the world. Saw a bunch of bicycles parked in the roof top of a high rise near my hotel. This photo was taken from the 20th floor of the hotel. I found Tokyo to be very orderly. People follow rules naturally. 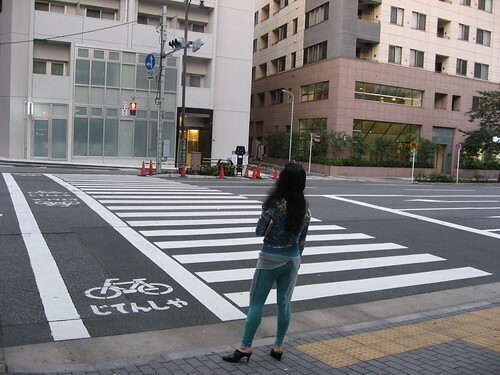 I found this lady waiting for the signal to cross the street though it was practically empty in the wee hours of the morning. 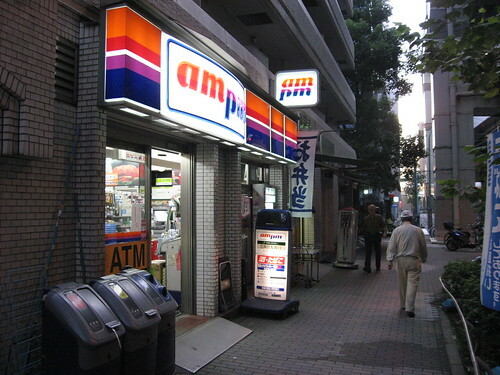 Lot of 24x7 convenience stores. I found them in almost every block, but finding 'vegetarian' stuff is a challenge. I had to make do with fruits and salad for many days. One night we did manage to find a Indian restaurant but that cost us dearly. Each of us had to shell out over USD 50 for a passe dinner. 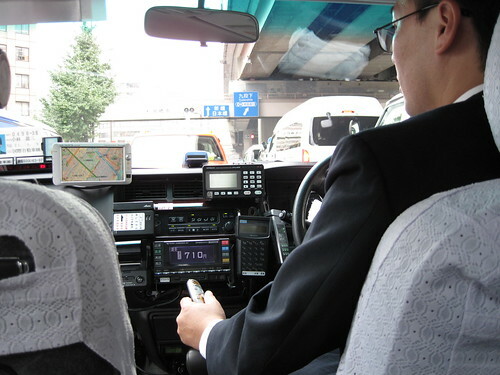 I found Taxis to be pretty expensive in Tokyo with the meter starting at JPY 710 (USD 7). But they are comfortable and most importantly ply by the meter and the drivers do not expect tip. 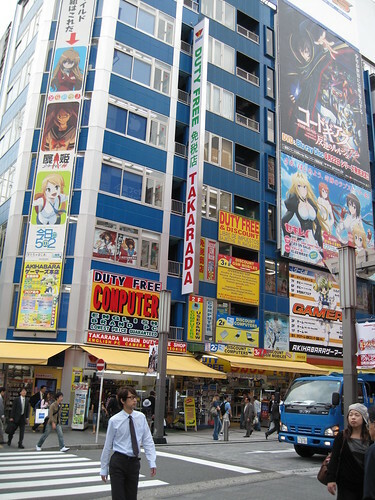 This time also I made it a point to go to Akhihabara though was squeezed for time. Last time, I got my Canon there and have been pretty happy with it. So, I decided to buy a newer version of the same model. So, I bought a Canon IXY digital 3000 IS which just came to the market last month. Now, Do I really need a new camera? possibly not.. but gave in to the itch. It is a 14.7 mega pixel camera and I bought with a 4 gb card for USD 400. Haven't played with it much to comment on it, but will do so soon. 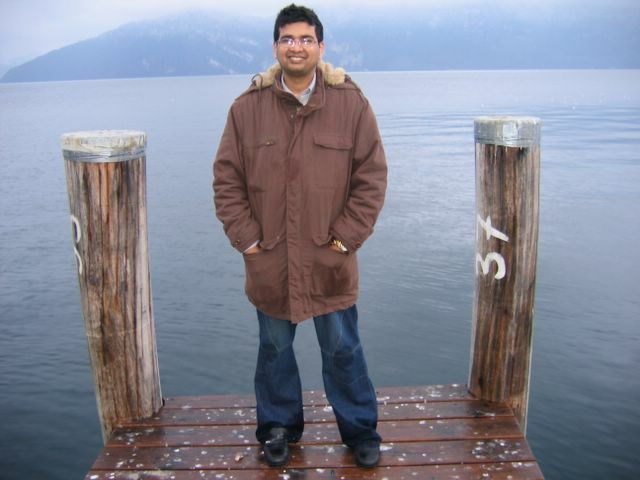 Really nice pics...I am always interested to know how you keep your enthu for running!!! Looks like a very beautiful city. You are so lucky to have a job that allows you to travel the world. That used to be my dream growing up and still is. Can you please advice, what exactly i should do to get a job like you? What is it that you do?